TravelEurope Blackpool hotel reservation service provides you with a wide variety of lodging and hotel options, from cheap hotels to luxury accommodation in Blackpool. Quick and easy hotel reservations with instant confirmation and great value for money whether you travel for business or tourism. Select travel dates and find all available hotels in Blackpool, check out guests reviews and locate properties on Blackpool city maps, book your favourite accommodation with no pre-payment. All rates are in Euros and inclusive of all taxes. 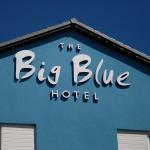 The Big Blue Hotel - Pleasure Beach Resort is located in a wonderful location in the resort of Pleasure Beach, near the beautiful town of Blackpool on the west coast of Britain. 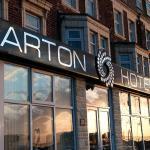 The Barton Hotel is located near the famous Pleasure Beach, Blackpool. Close by are the Casino, the water park and the airport. The hotel has a bar with a playroom and a dining area serving local cuisine. 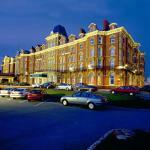 The Charlton Promenade Hotel is located on Blackpool's promenade, beside the famous Pleasure Beach. The comfortable rooms are equipped with cable TV and kettle for tea and coffee.